Many thru-hikers will switch to their second pair of shoes at Kennedy Meadows, PCT Mile 702. 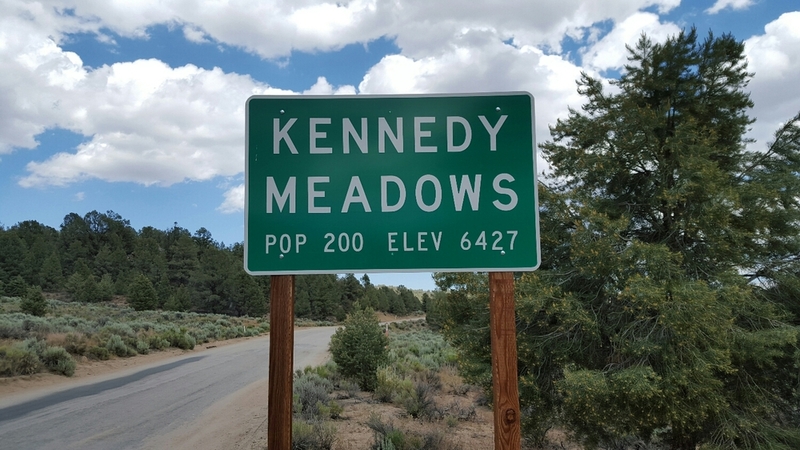 Kennedy Meadows marks the tangible switch between the deserts of the first 700 miles and the high country of the Sierra Nevada ahead (>8,000 feet above sea level for the next 400 trail miles). Almost all hikers who enter the Sierra Nevada before June will carry an ice axe. Many hikers who enter in June will carry an ice axe, and most will carry micro-spikes that clip on hiking shoes. With the weather in mind, some thru-hikers, myself included, will switch to a sturdier pair of shoes than they used in the desert. My New Balance Leadvilles (tennis shoe esque shoes) were great in the desert. 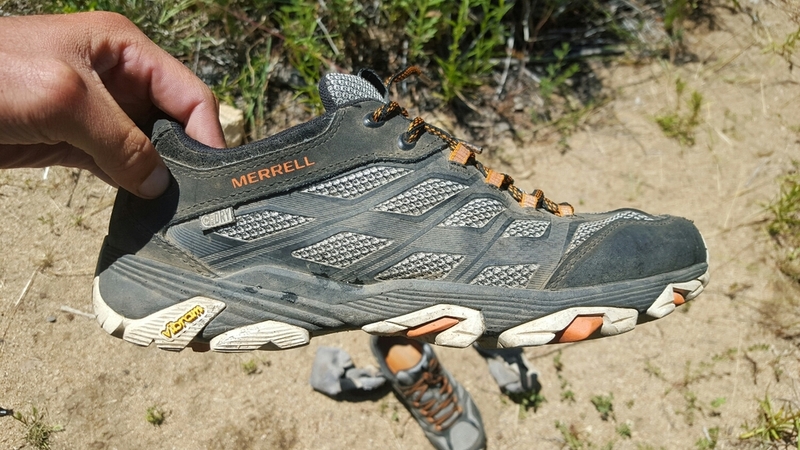 But for the Sierra I picked up a waterprooffpair of Merrell Moabs in Bakersfield (off PCT Mile 650). The New Balance had another 100 miles in them, but Bakersfield was a convenient place to switch. Now it's worth mentioning that any shoes used for thru-hiking are only as good as their insoles. Most standard insoles will wear out well before the shoe. For that reason I use Superfeet (at the recommendation of a couple I met hiking to the top of Mt. Mitchell in North Carolina). Insoles range in price significantly. My Superfeet cost $55. The pair I used for the first 700 miles worked great. That's a big cost adder to the typical $100-140 pair of shoes thru-hikers buy. But insoles are worth the cost. I picked up a pair pf Superfeet for a hiker in Bakersfield who wasn't using aftermarket insoles. He was already thanking me 50 miles later.